For 13 years, the editors of Film Comment magazine have presented an annual screening series of diverse cinema at the Film Society of Lincoln Center, much of which has garnered acclaim on the festival circuit but hardly anywhere else. True to the adventurous and eclectic nature of its editorial content, the magazine’s festival favors challenging stylistic endeavors and moody stories that challenge mainstream conventions. This year’s lineup, which started Monday and runs through February 28, provides an especially distinctive look at some of the more ambitious narratives to surface over the past year. Here are five highlights from the program; the entire selection can be found here. Yes, at 103, Portuguese director Manoel de Oliveira is the oldest working filmmaker. It’s not so easy to ignore this fact when you look at his fascinating output, which remains formally challenging, philosophical and distinctly mysterious at this late stage of the game. While not as audacious as last year’s “The Strange Case of Angelica,” Oliveira’s adaptation of Raul Brandao’s play is a lovely treatise on the claustrophobic limitations of daily life. Largely set in a single room as its subjects gaze into the distance and bemoan their impoverished existence, the movie features brooding turns by Jeanne Moreau and especially Michael Lonsdale in the title role. The tale of an elderly French family whose son went missing long ago, its modicum of plot involves the arrival of the downtrodden young man (Ricard Trepa, Oliveira’s grandson) as he attempts to rob his hardworking father of cash. A pensive chamber drama of the highest order, “Gebo and the Shadow” excels at creating a deeply melancholic atmosphere and hugging it tightly. Urkainian director Sergei Loznitza’s narrative feature debut “My Joy” showed the veteran documentarian was equally capable of distorting the truth through a Lynchian allegorical lens that sifted through the demons of Russian society. His follow-up is an equally grim but more narratively precise look at the country’s history through the lens of WWII. After Sushenya, a lower class Russian laborer, escapes a Nazi deathtrap, his comrades assume he’s in cahoots with the enemy. 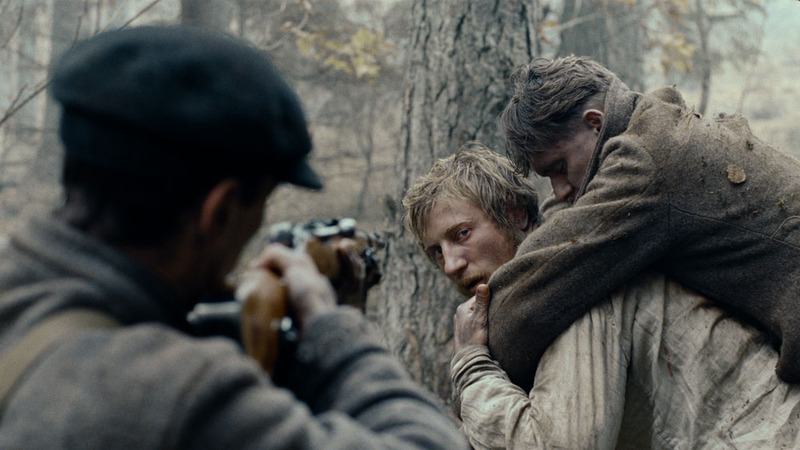 At first slated for execution by his former peers, Sushenya escapes death again at the hands of the Nazis, launching into a prolonged escape through the frosty Ukranian forest. As the mystery of Sushenya’s inexplicable survival deepens, “In the Fog” develops an unearthly spell that largely makes up for its cerebral pace. As with “My Joy,” this is a story about people trapped by the conditions around them to the point where free will is a questionable proposition, and the only certainty is that all things come to an end. In 2011, the filmmaking collective known as Borderline Films took Sundance by the storm with Sean Durkin’s unsettling cult drama “Martha Marcy May Marlene,” but their first major exposure began at Cannes with Antonio Campos’ 2008 “Afterschool.” The mysterious high school drama displayed the Borderline gang’s penchant for dark narratives, long takes, and a disquieting mood closer in tone to European art cinema than anything else happening in the U.S. scene. His sophomore feature, “Simon Killer,” continues along precisely the same path with far stronger results: Applying a dense, often impermeable style and a mentally unstable protagonist, “Simon Killer” is like watching the disturbed anti-hero of “Afterschool” all grown up. A haunting Brady Corbet stars as the titular Simon, a young American college grad traveling Paris for no reason at all except to clear his head. Campos has said that he was partly inspired to create the character after reading about the murderous antics of Joran Van Der Sloot, who landed three decades in prison for killing a student in Peru. “Simon Killer” doesn’t attempt to explain those actions, but with its atmospheric immersion into Simon’s life, it does make a case for the way such madness can manifest itself. British filmmaker Ben Wheatley has earned a following on the genre film festival circuit for a pair of distinctive movies with two very different moods. His 2009 debut “Down Terrace” followed a family of criminals through a series of amusing misadventures, suggesting Wheatley’s proclivity for enlivening dreary circumstances with an odd sense of play. However, 2010’s grave “Kill List,” in which a jaded hit man struggles with marriage problems, went great lengths to expand his range. With the arrival of “Sightseers,” Wheatley’s aesthetic strengths finally start to fall into place. This hugely entertaining tale of serial killers in love neatly merges the neurotic black comedy of “Down Terrace” with the morbid twists of “Kill List,” inching close to defining the director’s overall style. 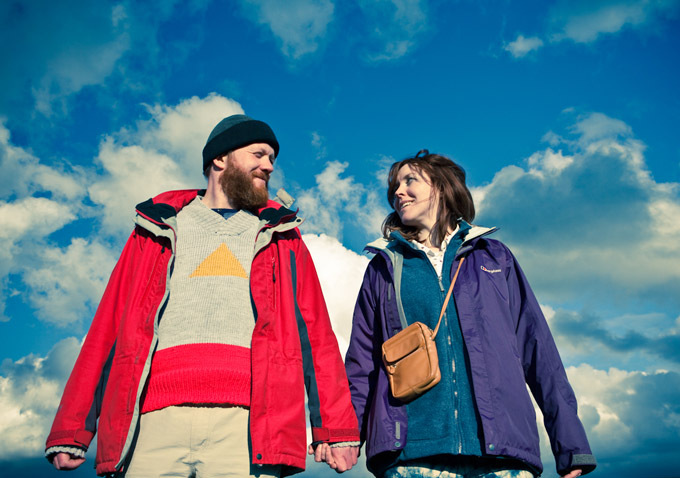 As with his previous efforts, “Sightseers” was crafted in close collaboration with the lead actors, who share writing credits as a result of building their characters out of Wheatley’s original scenario. His approach yields a highly contained genre exercise with only the skeleton of plot, but that’s more than enough to make “Sightseers” glide along with behavioral minutiae and bursts of violence. The scenario takes a matter of minutes to sink in: 34-year-old introvert Tina (Alice Lowe), a woman with a diploma in dog psychology even though she accidentally killed her own pooch a year earlier, still lives at home with her obsessive mother. In the opening minutes, she announces plans to travel around the Yorkshire countryside with her mysterious new lover Chris (Steve Oram), a chummy, bearded man who claims to have aspirations as a writer even though he’s not writing anything in particular. It doesn’t take long to determine that neither of them are particularly sane. Imagine a quirky microbudget remix of “Bonnie and Clyde” with a dash of Mike Leigh: “Sightseers” is almost certainly the first road trip comedy interspersed with blunt murderous interludes. Despite the smallness of its production — or perhaps because of it — “The We and I” is something of a watershed achievement for director Michel Gondry: It’s his first feature-length production with no semblance of overt magic realism. The entire story takes place in real time, on a Bronx school bus, with a free-flowing, improvisational dynamic closer to a Duplass brothers movie than anything else in Gondry’s oeuvre. True, Gondry coaches hugely uneven performances from a cast of young non-actors who might not make the cut in a high school play, but he also nails the essence of teen testosterone. The narrative’s framing device develops a nice rhythm as it goes along: A crew of wisecracking bullies hang in the back and pick on nearly everyone else, the crowd shrinks and eventually their ringleader receives an unexpected comeuppance. Made on the cheap while Gondry was working on “The Green Hornet,” “We” has a handmade aesthetic that pervades nearly every ingredient of the design, and it frequently compensates for its rough edges with effective small moments between the various high-strung youths.